Each fall the Ladies of Charity of St. Gertrude Parish in Cincinnati hold their Craft Show fundraiser. This year it was on October 20. The proceeds go directly to serving the needs of the poor. 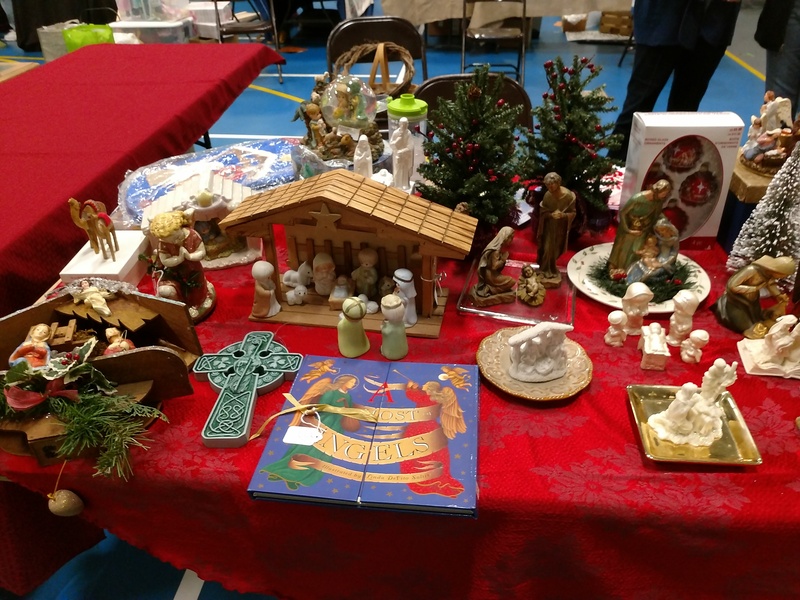 Each year during this event they also have a bake sale and concession stand to sell food items, and a booth for the Nativities for Bread (see below). The LOC collects, repairs, repaints and reassembles these beautiful Nativities for sale at reasonable prices so that more families will be able to have a Nativity in their homes for both young and old to “Come let us Adore Him” at every Christmas and Epiphany season. All proceeds go to feed the poor.